The fun quizzes which come along your way once in a while, when you are browsing the web and then bam, you get hit with one too many of such quizzes buzzing your screen, begging for your attention. It can be fun sometimes, I have to admit to just goof around and enjoy the 'calculated' and 'programmed' answers based on the questions which is just all part of the good-humored evolution of the artificial intelligence incorporated in our technology lives these days. 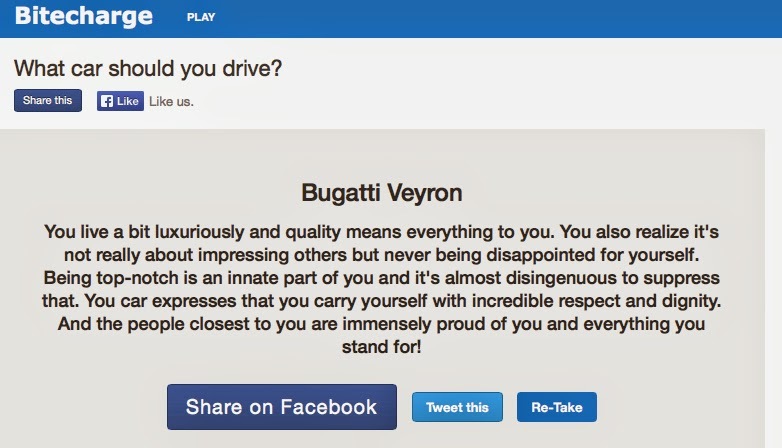 The Answer was astounding, and it had me chuckling, for all the good reasons, of course, but I just loved the 'prescription' or rather, all that the quiz results had to say about me. This seems to be the quiz which described me as though it knows me at a personal level, and I guess I have to nod to some of the parts. It is not about the snobbish part where I am all about luxury, but rather, the quality, which represents my perspectives on life and influence everything that I do, day by day. It is about identity, and being able to relate to one's inner desires and ambitions and for that the results tell me just that about who I really am. I am proud of who I am, and I do take pride in the dignity that just makes up all of who I am. 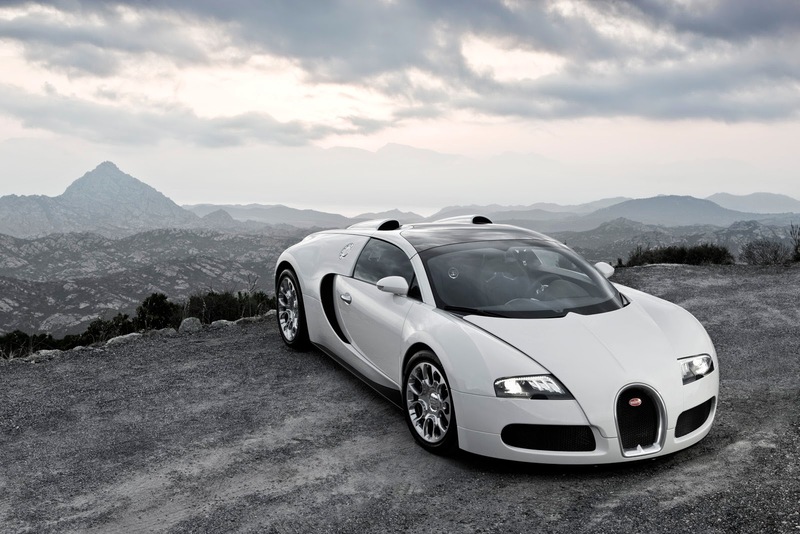 A Bugatti Veyron eh, it's time to include this car in my next car's list?